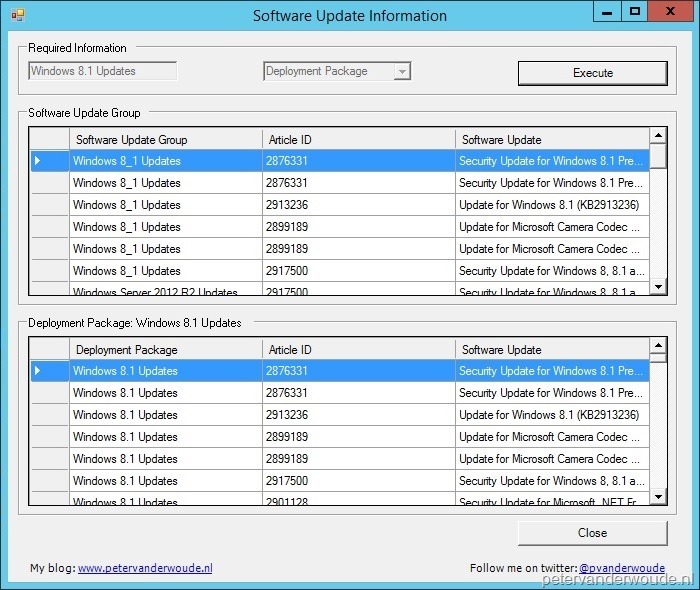 Actually since the first release of ConfigMgr 2012, I’ve seen and got question about software updates. Besides, of course, questions about setting it up, these questions are mainly focused about the memberships of software updates. 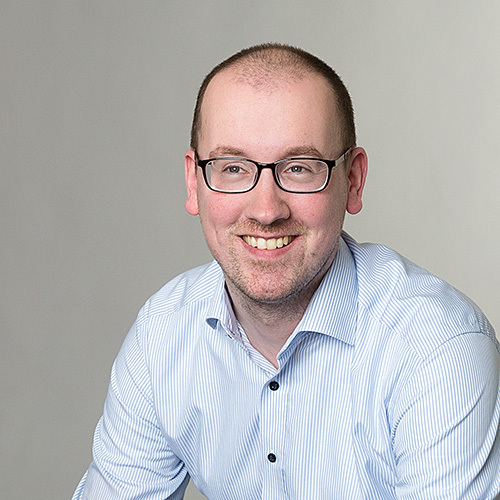 Simple questions like “In which software update group is this software update?” or “In which deployment packages are the updates of this software update group?” are not that simple to answer. This is all going to change, starting today! I created this simple tool that can perform searches based on a specific software update, a software update group, or a deployment package. Simply specify the Name (in case the of a software update the article id), select the Type (software update, software update group, or deployment package) and click Execute. 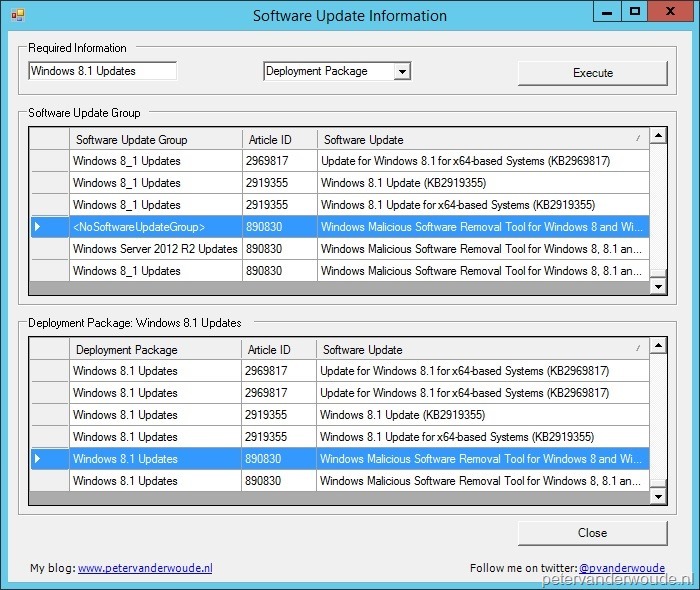 Search on Software Update Group: Show the deployment packages of which the updates in the software update group are a members. The following table will provides an overview of what this tool exactly does and the information that it will show in every situation. To show that the form/ script is still busy, the name and type field will be disabled. This can be very useful with overactive admins in combination with many updates in a deployment package or software update group. This will prevent them from trying a new query while the old one is still running, because it might take a while before all results are shown. In case the Deployment Package type is used in combination with a valid name, the result will look like this. To indicate that the Deployment Package type is used the name of the corresponding group box will change. The Software Update Group information will show per update in which Software Update Group it exists. 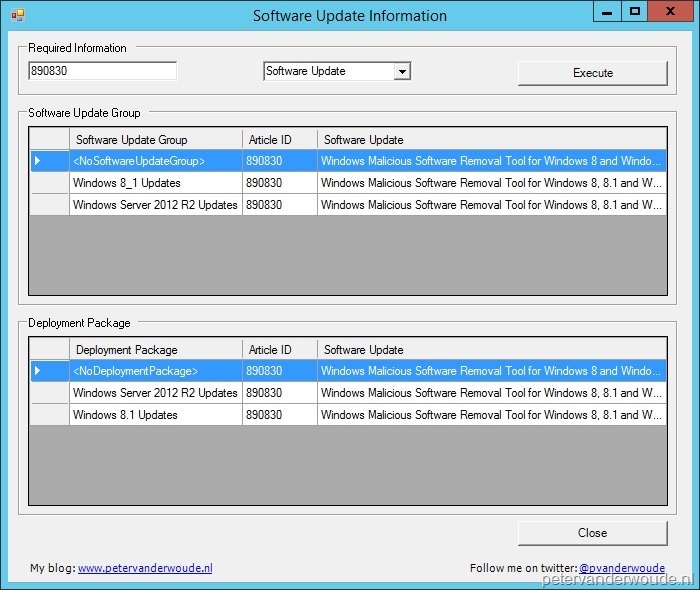 For updates that are not within a Software Update Group it displays <NoSoftwareUpdateGroup>. In case the Software Update Group type is used in combination with a valid name, the result will look like this. To indicate that the Software Update Group type is used the name of the corresponding group box will change. 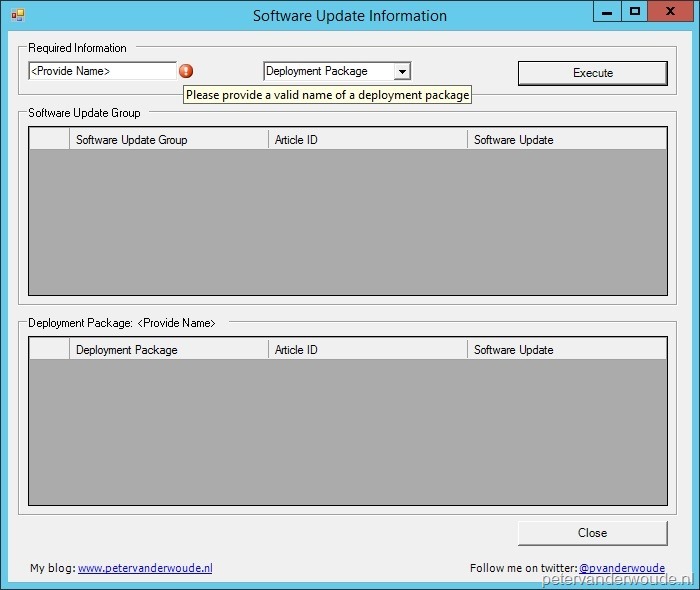 The Deployment Package information will show per update in which Deployment Package it exists. For updates that are not within a Deployment Package it displays <NoDeploymentPackage>. In case the Software Update type is used in combination with a valid article id, the result will look like this. 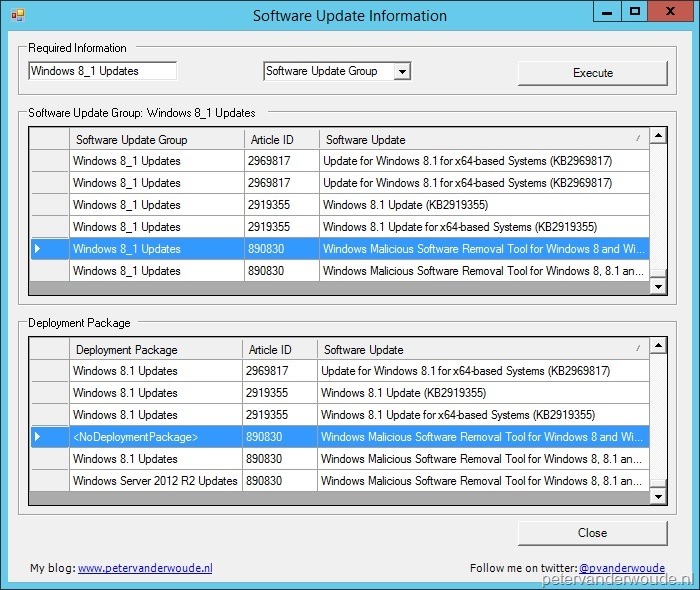 The Software Update Group information will show in which Software Update Group it exists and the Deployment Package information will show in which Deployment Package it exists. When it’s not within a Software Update Group it displays <NoSoftwareUpdateGroup> and when it’s not within a Deployment Package it displays <NoDeploymentPackage>.